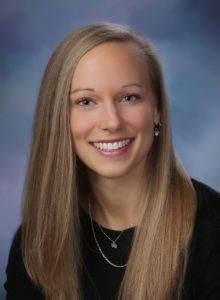 Dr. Andrea Maxim enjoys being able to help her patients know they aren’t alone and “to be one of the first people to witness their wounds for what they really are.” It is this ability to truly touch the lives of patients, bringing them out of their shells and addressing their problems that helps to make her practice a success. For Dr. Maxim, success doesn’t stop at the office door. 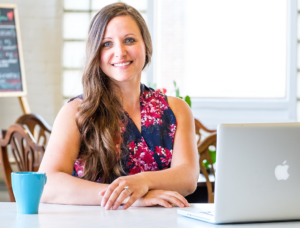 With her knowledge and skills, she can share all of this “with people on Facebook, Instagram, Facebook Live, YouTube and touch a whole other demographic of people.” By sharing her skills through social media, she is helping to redefine naturopathic medicine. In addition to her grounding in the business side of the field, Dr. Maxim also attended “as many courses and seminars/live trainings that I could in the first year.” By doing this, she was able to get information about what other practitioners were doing to be successful so that she could learn from their experiences. In addition, Dr. Maxim has been able to expand on her practice and innovate as needed because of the freedom of running her own practice. 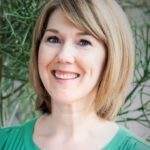 She utilizes her creativity to “create new promotions, new programs, offer flash sales and market myself in new ways.” This has helped her become a success in her field. As a starting ND, Dr. Maxim put in 16-hour days, six days a week. But all of that was to get her practice started and working properly. 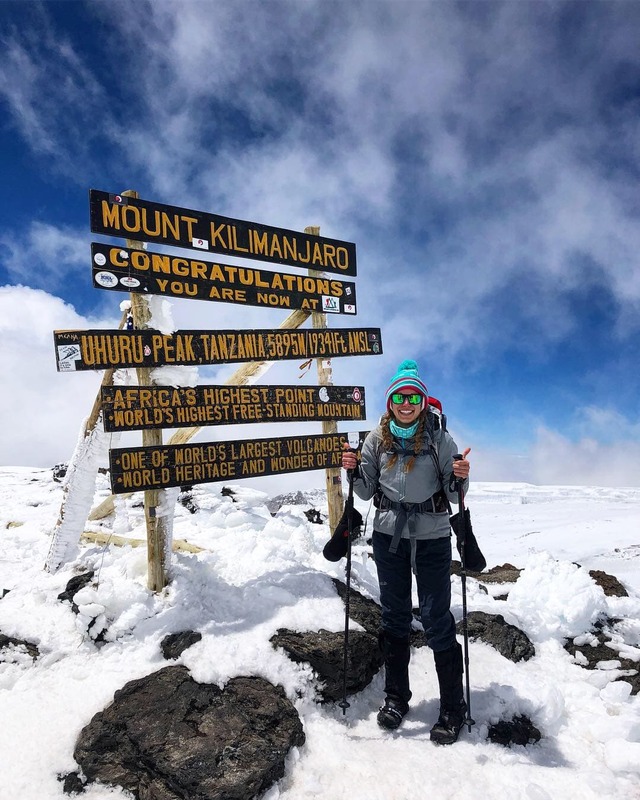 Now that she’s established, she gets to find personal and professional fulfillment from “learning, implementing, [and] growing outside of the office.” Her philosophy is that you cannot allow yourself to rest and get complacent if you want to remain successful in the business. But now that her business is settled, she works “four days in clinic and has more down time outside of the office.” She jokingly adds that there are some days she doesn’t even open her laptop to do any work. A Day in the Life of an ND: What’s the ND Experience All About? Alumni panel pictured (L to R): Drs Carrie Louise Daenell, Lilian Au, Adrienne Stewart, Arianna Staruch and Safiya McCarter. Want to find out what the journey to becoming a naturopathic doctor is all about? The ND Experience is the perfect place to get all of your questions answered! The ND Experience is an interactive event for prospective students and their families to learn more about naturopathic medicine. 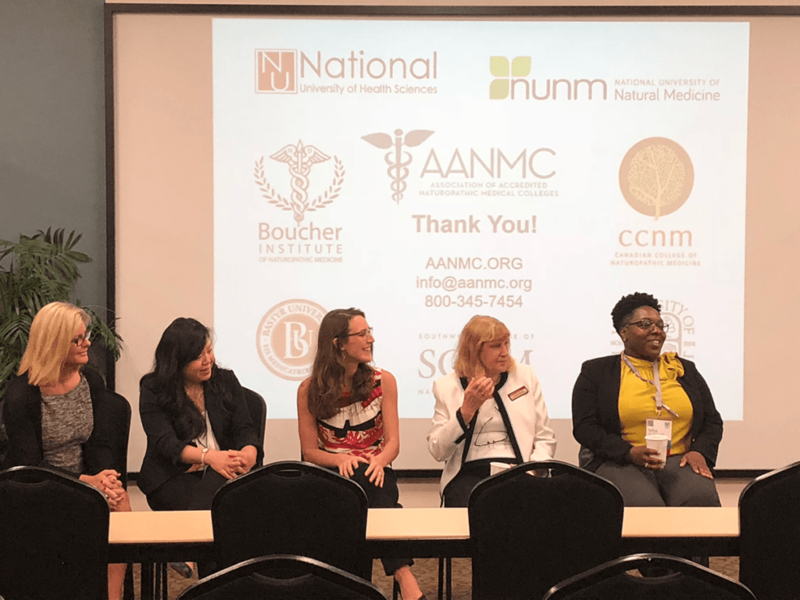 Participants have the opportunity to speak with current ND students and admissions representatives from the accredited schools of naturopathic medicine to learn tips to thrive in naturopathic medical school. In addition, they hear from alumni panel of NDs to discover all of the career opportunities available to graduates of naturopathic medicine. “Thank you again for a wonderful, uplifting, and inspiring experience! I am so ready to continue on this path after spending time at Bastyr and attending the conference. Unforgettable!” -Brittany M.
Bastyr University, San Diego hosted the 2018 ND Experience. Harlan Patterson, President of Bastyr University, provided the introductory welcome to prospective students and their families. 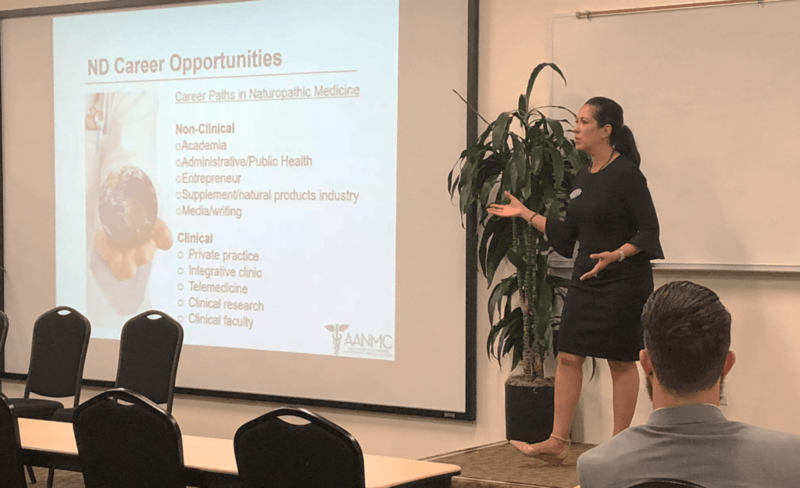 Dr. JoAnn Yanez, AANMC Executive Director, gave an overview of naturopathic medicine and Terrance Peterson, Bastyr Admissions Counselor, gave an overview of the admissions process and how to prepare yourself to be a strong ND candidate. Prospective students had the opportunity to ask questions about topics that mattered to them such as school stress, finances, academic workload, work/life balance, and career viability as a naturopathic doctor. Dr. JoAnn Yanez discusses ND career opportunities in an overview of naturopathic medicine. Bonus: Experience the AANP/NMSA Conference! 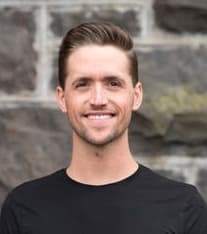 In addition to meeting students, school reps and current NDs at Bastyr, the ND Experience grants free access for prospective students to attend the American Association of Naturopathic Physicians (AANP) and Naturopathic Medical Student Association (NMSA) annual conference. During this incredible opportunity, prospective students may learn about the latest research, hot topics, and clinical applications in naturopathic medicine. In addition, prospective students will also have access to the vendor hall to see the latest and greatest products in integrative medicine with a chance to win vendor prizes. ND Experience participants also have the opportunity to watch the final round of the NMSA Cup, an intense trivia competition between all seven accredited naturopathic medical schools across North America. The final round of the NMSA Cup is between the last two schools vying for first place and title/bragging rights. The competition tests students on the basic/biomedical sciences, clinical sciences, naturopathic philosophy, and clinical therapeutic modalities. Don’t miss out on the next ND Experience! Visit AANMC.org/events for more information or email info@aanmc.org.